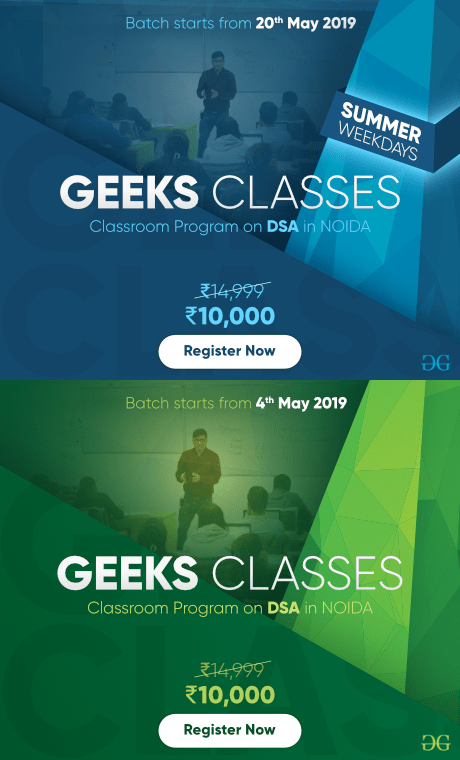 A magnitude digital Comparator is a combinational circuit that compares two digital or binary numbers in order to find out whether one binary number is equal, less than or greater than the other binary number. 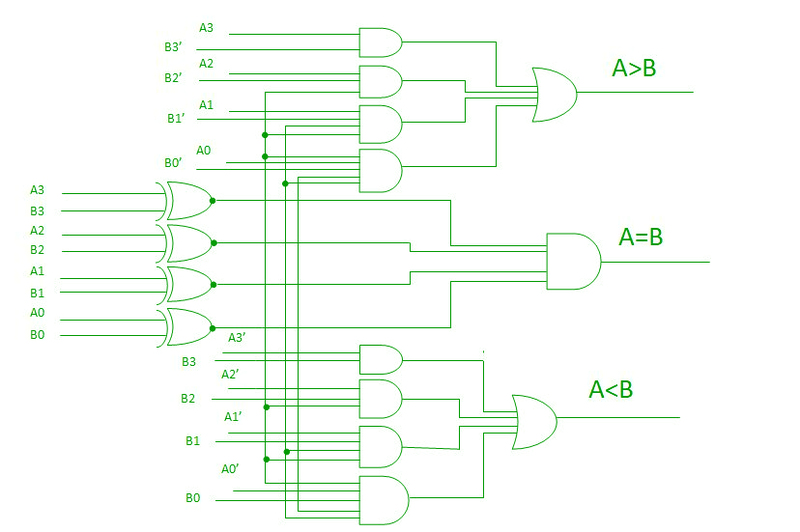 We logically design a circuit for which we will have two inputs one for A and other for B and have three output terminals, one for A > B condition, one for A = B condition and one for A < B condition. 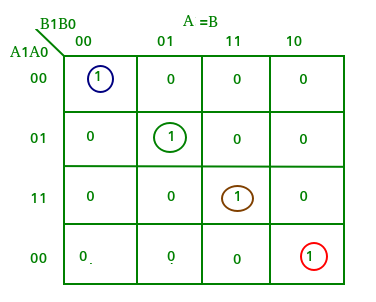 A comparator used to compare two bits is called a single bit comparator. 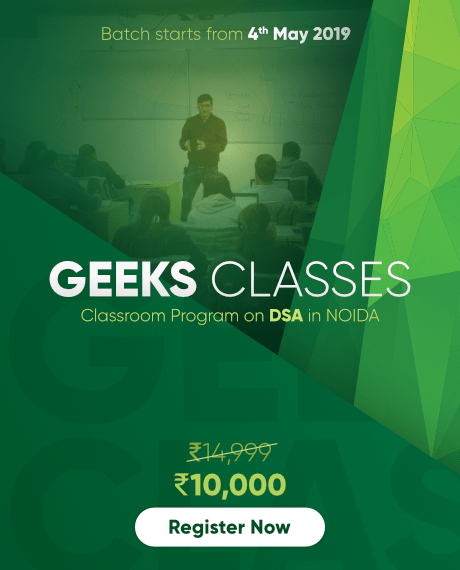 It consists of two inputs each for two single bit numbers and three outputs to generate less than, equal to and greater than between two binary numbers. 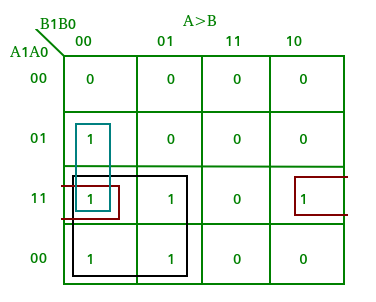 A comparator used to compare two binary numbers each of two bits is called a 2-bit Magnitude comparator. 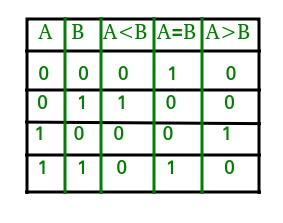 It consists of four inputs and three outputs to generate less than, equal to and greater than between two binary numbers. 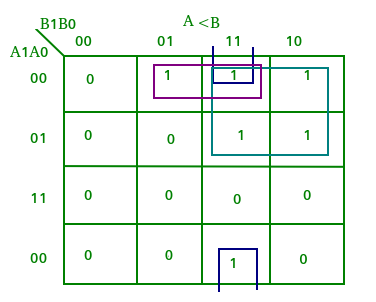 A comparator used to compare two binary numbers each of four bits is called a 4-bit magnitude comparator. 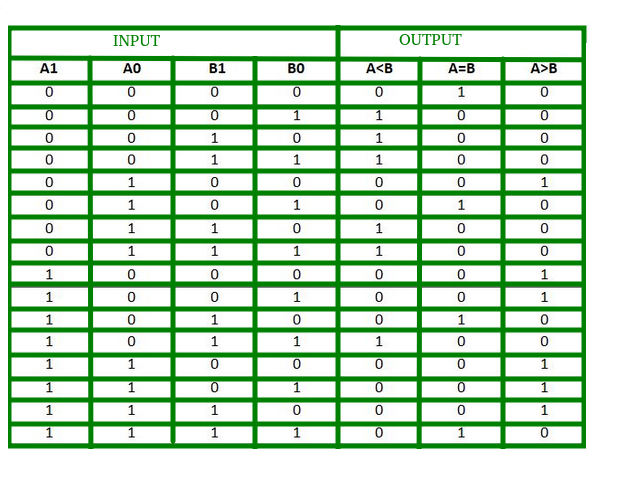 It consists of eight inputs each for two four bit numbers and three outputs to generate less than, equal to and greater than between two binary numbers. 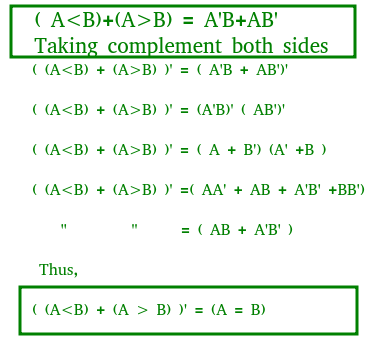 The condition of A=B is possible only when all the individual bits of one number exactly coincide with corresponding bits of another number. 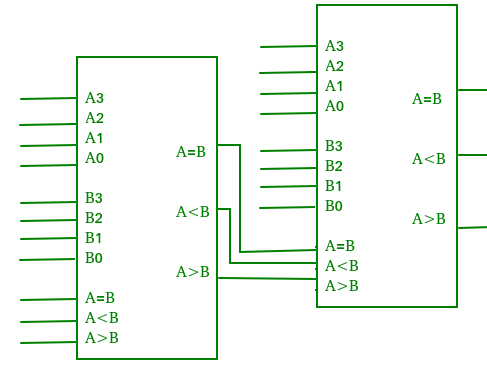 A comparator performing the comparison operation to more than four bits by cascading two or more 4-bit comparators is called cascading comparator. 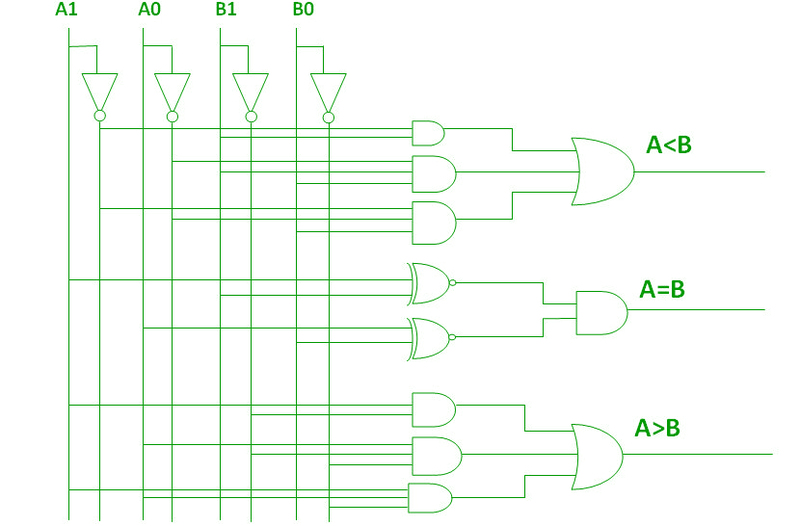 When two comparators are to be cascaded, the outputs of the lower-order comparator are connected to corresponding inputs of the higher-order comparator. Comparators are used in central processing units (CPUs) and microcontrollers (MCUs). 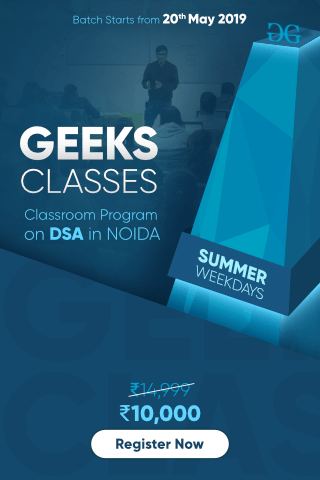 These are used in control applications in which the binary numbers representing physical variables such as temperature, position, etc. are compared with a reference value. Comparators are also used as process controllers and for Servo motor control. 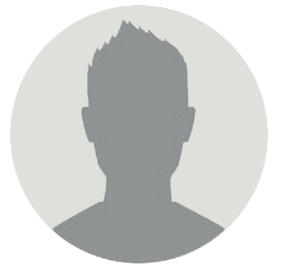 Used in password verification and biometric applications.